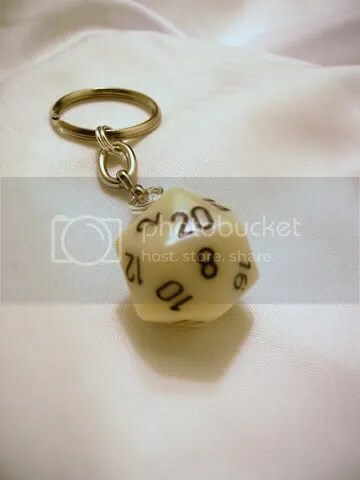 This keyring is from a collection I have up for sale and was made from a single standard size solid opaque off-white twenty sided die with black numbers. This may not really look like much, but it is quite possibly the perfect accessory for the guy (or girl!) geek who wants to make his (or her!) geek statement, but also make it subtle. 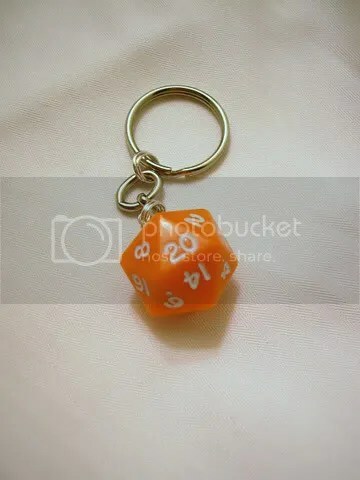 You are currently browsing the archives for the Keyrings category.